Those of you who do know what a 1968 “Bullitt” Mustang Fastback is will drool at the latest announcement from Ford Australia. 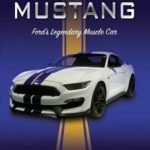 From October 2018, a Ford Mustang knows as the Mustang Bullitt celebrating the 50th anniversary of the Steve McQueen iconic movie will be on sale here in Australia. This is no ordinary Mustang (not that Mustangs are ordinary in any guise). 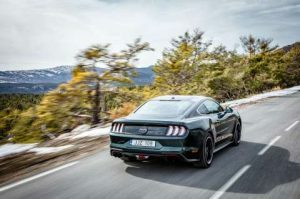 Based on the Mustang GT, this monster green machine will be the most powerful Mustang ever sold here by Ford Australia. The 5 litre Coyote-derived V8 engine churns out 345kW of power and generates 556Nm of torque. 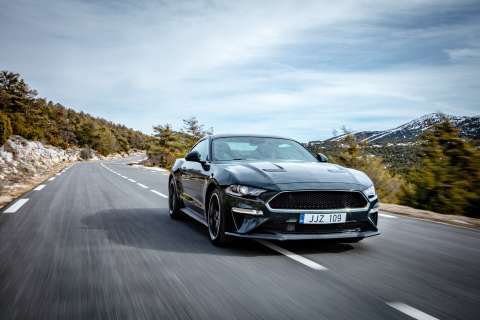 For the petrol heads, the engine has been upgraded for heightened performance with an Open Air induction system and intake manifold with 87mm throttle bodies, Ford Racing air-filter and a Powertrain Control Module shared with the Shelby Mustang GT350 (oh yeah !!!). 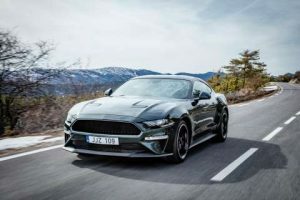 The Bullitt is only available in a 6 speed manual transmission but has been tricked up for the enthusiast with Mustang’s rev-matching system. Coupled to the Active Valve Exhaust, this thing has a heart-stirring soundtrack and the mumbo and performance to match. 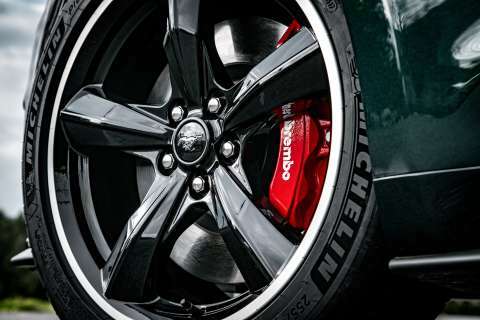 It stops on the proverbial dime too with bright red Brembo brakes all round (it’s not the colour that makes the difference; as we all know, red makes things go faster, not slower). OK, having Bullitt badges all over the beast is not that tech but there is trick suspension (called “MagneRide) and an array of snappy kit including 8” full colour reversing camera, Autonomous Emergency Braking, Lane Keep Assist and Adaptive Cruise Control. 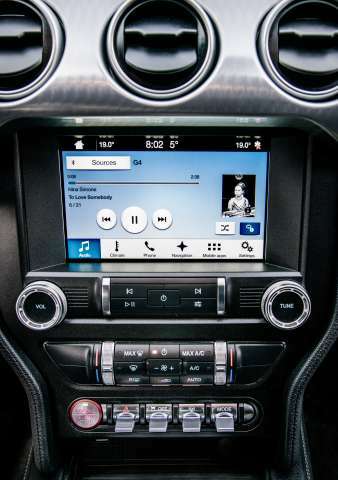 You also get Apple and Android compatibility as well as native satellite navigation. What would Frank have thought with all of this at his fingertips ? 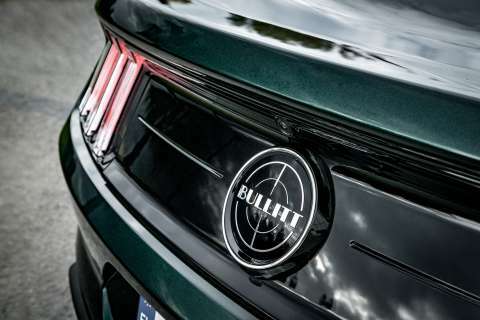 There will only be 700 of these Dark Highland Green collectables (yep, harking back to the old Model T days: have any colour you want as long as it’s dark green) each with a unique Bullitt number etched into the passenger’s side plaque. The stark white cue ball gear knob may not be to everyone’s taste (a little bit “meh”) but there’s no denying its origin ! 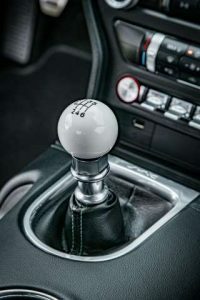 The rest of the instruments and controls make the heart race inspired by the (cue Ford’s Marketing Arm) “Le Mans winning” Ford Performance GT sports car. Bring it on ! You really do get fair bit of kit with this number AND you are buying a classic collectable in modern form. 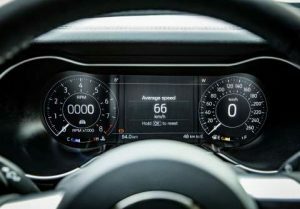 At a touch under AU $74,000 (list price), this is really worth considering if you’re in the market for a high-performance Mustang with that little bit “extra”. Would I have one ? In a word, yep BUT…………. 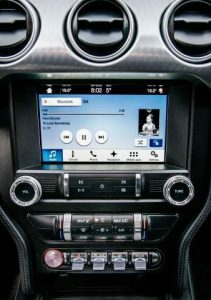 I would have to test drive it first around the burbs, on the highway and on a track just to make sure it is right for me. I’m sure you’re with me on this ! Now where’s a street around here with big hills and dips ?